A few months ago, on a weekday morning like any other, I opened the restaurant and noticed some flowers in front of a small, popular eatery two doors down from JAN. Within an hour, everyone on the small street of rue Lascaris knew that the owner/chef of the eatery had taken his own life. I was naturally shocked. Bitter even. Things were suddenly different. 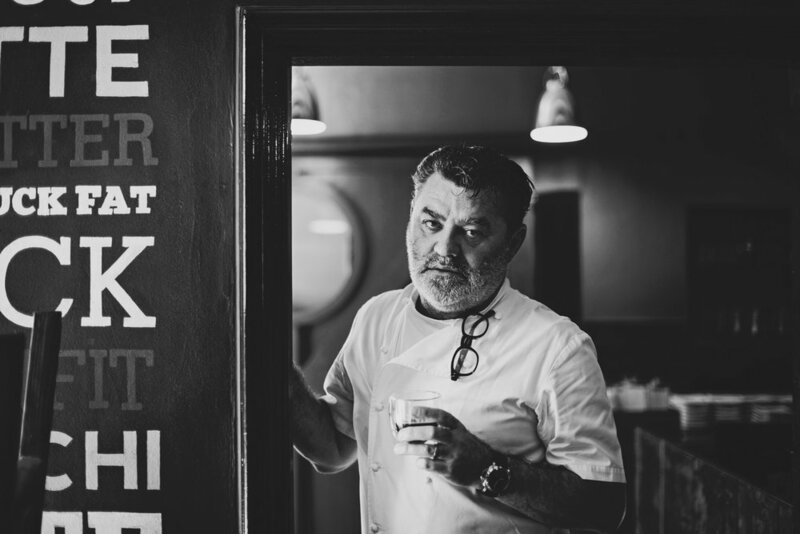 In this intimate interview, industry colleague Chef Liam Tomlin and I talk about something very few chefs ever talk about - or even acknowledge: the state of mental health in the restaurant industry. On a more public scale, there was the suicide of Bernard Loiseau in 2003 when a newspaper reported that he might lose his 3-star status. In 2016, the famed Benoît Violier also took his life. And earlier this year, the death of Anthony Bourdain really shone a light on the state of mental wellness in the global food industry. After all, this was a chef that, on the surface at least, looked like he had it all together - the ultimate culinary cool dude. But when he took his own life, it made everyone sit up and notice. Shocking as it was, however, it was nothing new to his fellow gastronomes. In fact, we’re all deeply aware of the issues facing our industry. But mental wellness aside, the fact that we never talk about it is perhaps the biggest issue. 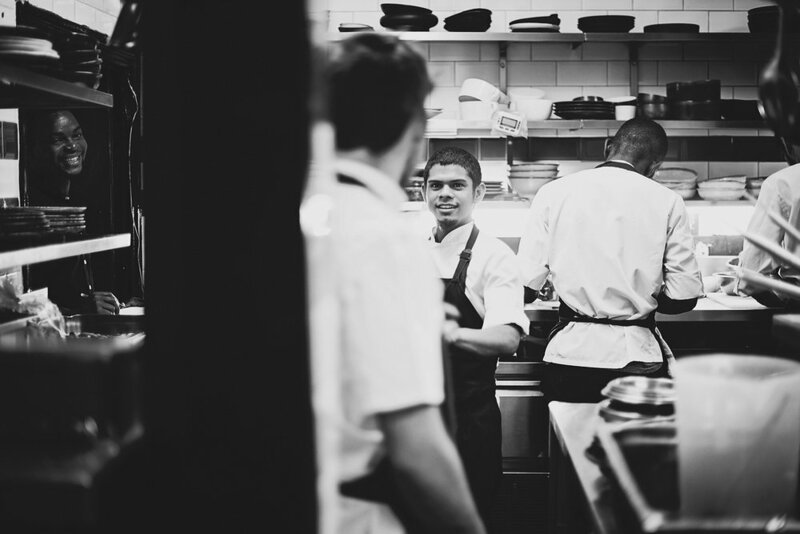 Why is mental health such a concern in the restaurant industry? Jan Hendrik: They say second to working in a mine, working in a kitchen is one of the hardest physical and mental environments in which to earn a living. The problem is, we don’t actually do this only to earn a living. We do it because it’s our passion. We’re constantly delivering the best we can and putting other people’s needs way ahead of your own. Also, the trend where chefs get judged by the latest culinary awards, or what cologne they wore to church, shows just how ridiculous it has all become. Taste is so subjective. You can’t judge Monet as being the best artist in the world and place Van Gogh at number 6. Their styles and mediums are completely different. And it probably explains why the poor man cut off his own ear. Liam Tomlin: It’s a very macho, competitive environment - not just in the industry at large but in a single kitchen even. To show any sign of weakness is pretty much frowned upon. It’s an extremely addictive career, which feeds other addictions, like booze and drugs. But it is changing. That lifestyle is definitely not cool anymore. 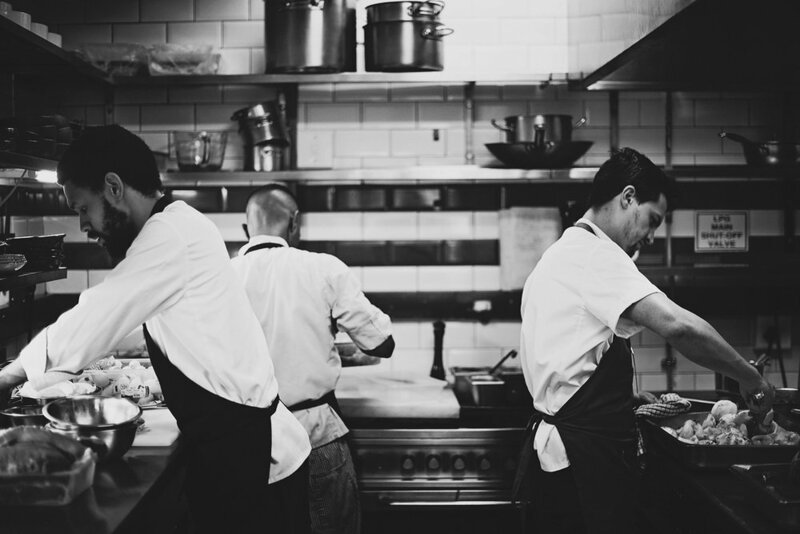 What makes restaurant culture so much more stressful? JHvdW: There are so many platforms nowadays where we can read all about what we do right and wrong. The so-called critics who can’t even make toast lash out at us, and get a small endorphin boost over the 40 likes they get for posting some nonsense about their experience. For them, it’s nothing. For us, it’s hours. Days even. We put so much into our work. When we take our aprons off at the end of a long service, we feel that we have given everything. Not a lot of people get that. And this is not going to change, in fact, it’s going to get worse. LT: We always aim for perfection, every single day. Basically, there’s no such thing as tomorrow. As a chef, you’re judged on every plate of food that leaves your kitchen - it’s your livelihood. It’s even worse nowadays, because everybody’s a blogger. Everyone’s got an opinion on food. And most of the time, people don’t tell you when they’ve had a bad experience, they go home and blog about it. What do you remember as a particularly dark time in your career? JHvdW: When JAN opened I had no idea what I was getting myself into. The culture barriers, managing a restaurant and also just surviving financially took a serious toll on my health. Mentally, I disconnected from my family and friends and became a total introvert. It was only after years of learning more about yourself and getting to know how to survive that things got better. Then in 2018, I lost two very close family members. I was in a very dark place. I was even on antidepressants for a time just to be able to see the light. It made me realise just how fragile life really is, and how important it is to nurture what little time we have to ourselves - and on this planet. Mostly, I realised why it is important to stand back at times, just to be able to get up and carry on again. You don’t always notice the signs of being in a state of emotional crisis, especially in the hospitality industry. But it catches up with you. LT: When I first started working in London, I worked in a very unhealthy environment. You basically had a 15-minute lunchbreak, so you had to choose between having a meal or taking a smoke break. I opted for the latter. In a lot of kitchens I’ve worked, there was a lot of bullying. But I was able to hack it. In fact, I thrived on it. Look, I’m no angel. In Australia, when I had my own restaurant there, I was very hard on everybody, but looking back, we probably could have achieved more. Eventually we lost everything. We literally went from hero to zero overnight. And that was such a shock, something that a lot of people don’t recover from. How do you deal with the anxieties of the job? JHvdW: Chef Margot Janse introduced me to the term, tribe, years ago during a deep and heartfelt tête-à-tête. Since then, it’s replaced the word, team, in my vocabulary. A tribe is your people. It’s like family. And it means you’ve got each others’ backs. I’ve definitely learnt to take a step back. If you surround yourself with strong people - and if you share the same vision - there’s no reason why you can’t trust them to fulfil it. I think delegating is difficult for any chef, but learning to let go, and handing some of the responsibility over to someone you trust is so necessary, it’s part of how we got where we are today; by being given opportunities. Also, travel has always been a very important part of my life, which was part of the reason I started documenting food and experiences. It broadens the mind and makes you consider life in a whole new light. I also make sure that I get my fill of alone time, whether it’s painting, taking pictures or spending hours at the market. It’s the simple things that reconnect you with who you are. LT: If you don’t have support it can really send you over the edge. Your business can fail, your family can break down. It took me a year to recover from what happened in Australia. And when you hit that kind of crisis point, that’s when you realise who your real friends are. Day to day, though, I make sure I exercise every morning - go to the gym, maybe hike up a mountain. It’s a great way to start your day…with a clear head. You’ve got to love what you do. I don’t have partners that I fight with. I’m fortunate that I travel quite a bit. I’ve learnt to delegate (that didn’t come easy). I don’t lose it over the stupid little things - if we get a bad review, it’s OK. I used to go to work and everyone around me would dictate my mood. I don’t allow that anymore. I also have a lot more peace of mind when the different components of my restaurants are set up as separate businesses; retail, bar, kitchen, and so on. That way, if one doesn’t work, it won’t bring down the whole business. What do you do to create a healthy working environment? JHvdW: I always look at the behaviour of the people close to me for signs that they might be in a dark place; family problems, mental exhaustion, depression and general fatigue, which unfortunately, is part of working such long hours. We address issues head on. Having respect, living by our values, keeping calm and staying collected is what makes or breaks the modern kitchen. Whenever someone new joins the team, they often have to work out their demons; let go of their past experiences. And we have to make sure they know that we are a family. A gentle touch on the shoulder, making eye-contact, and even saying, “Let’s start from the beginning,” is a hundred times more efficient than screaming and trying to break someone. At JAN we are creating an environment of open honesty in the workplace. We’re strict but direct, with no motives but to make what we do and who we are better. Over the years, we have also introduced better and more sustainable working hours, which came down to 5 services per week to allow more time for introspection and team building. We’ve even started a yoga class once a week together on the rocks overlooking the sea, and family members are also welcome. For South Africans working with us we have a weekly French lesson, which helps them to immerse themselves in the culture and to get a better understanding of the French language. Not being able to understand someone, or worse, them not understanding you is enough to drive anyone up the walls. In the end it’s about admitting that something needs to change, getting it out in the open, being brave and broaching the subject, and getting everyone to come up with solutions and inspiring them to make the change with you. LT: It’s time, it’s listening, it’s caring. Everything you do should be sustainable. It’s not just about organic food and the farming practices of your suppliers, but about the sustainability of your people. How do your staff get to work, for instance? Are they spending their wages on transport, cigarettes and booze, or are they able to do more than just survive. We try to pay above-average wages, we reduce our staff working hours to four days a week, we give them decent food to eat - breakfast and a good hot meal. We shop especially for them. We’ve even put a couple of guys through rehab. We all deserve a second chance. Give people opportunities, allow them to make mistakes. What advice would you give a chef about to embark on his/her career? JHvdW: Don’t be afraid to show your feelings, and never stress about not having what it takes? I remember being bullied in one of my first kitchens when I was still a student for being a softy; not being macho enough. For some reason there was an object flying at me all the time, which thankfully led to me being pushed into the pastry corner. It was almost like the time I was forced to join a rugby scrum. That’s just not who I am, and that kind of outdated machismo has no place in the kitchens of today, in my opinion. LT: The one thing I always say to young chefs is, watch out for each other. Nobody’s forced to work anywhere. There are a lot of great chefs out there, but it’s not worth it if it’s making you ill. When a restaurant gets four resignations a week - and it happens - that’s just not good enough. When something’s bothering you, don’t let it linger. Deal with it right away. I’m a firm believer that money isn’t the solution. It doesn’t get rid of problems. Liam Tomlin is the founder and owner of Chefs’ Warehouse and Thali, and has authored the books BANC, Season to Taste and Lessons with Liam.